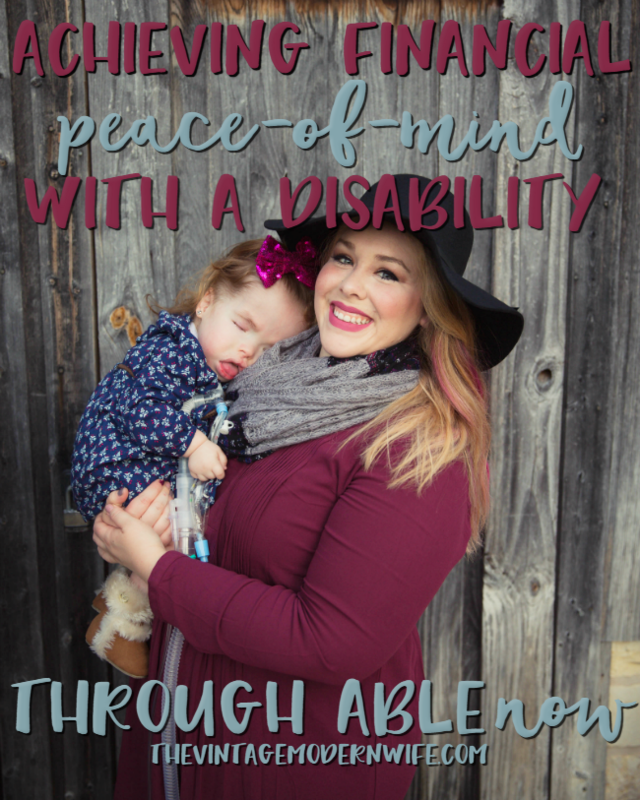 This post on Achieving Financial Peace of Mind with a Disability Through ABLEnow is sponsored through ABLEnow, however all thoughts and opinions are my own. Having a child with a disability always has our family thinking ahead. We wonder about things 5, 10, even 20 years down the road, and while those things are blurry for our family, they’re still important things to think about. As a mom, I always think of the worst- “What will happen to Addie if…” and I go down that rabbit hole. One thing that we definitely have needed to do more research on is some type of saving for Addie for when she is older. If something ever happens to us, we want to be able to make sure she is cared for and loved, which is why it’s perfect timing that I have been able to recently learn about a program called ABLEnow. For so long, people with disabilities and their families couldn’t save for their futures because they feared losing their public benefits. I can’t even imagine having to worry about that for Addie and I’m so thankful we don’t have to now. 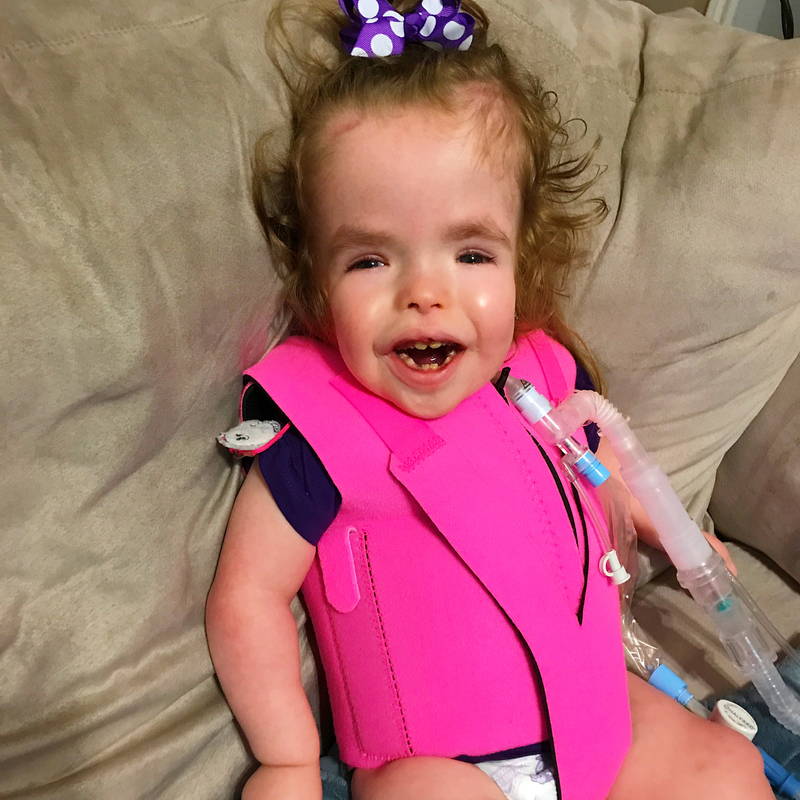 Because of Addie’s medical complexities, she gets benefits monthly for nursing care, medical supplies (her little tiny ventilator alone is $13,000! 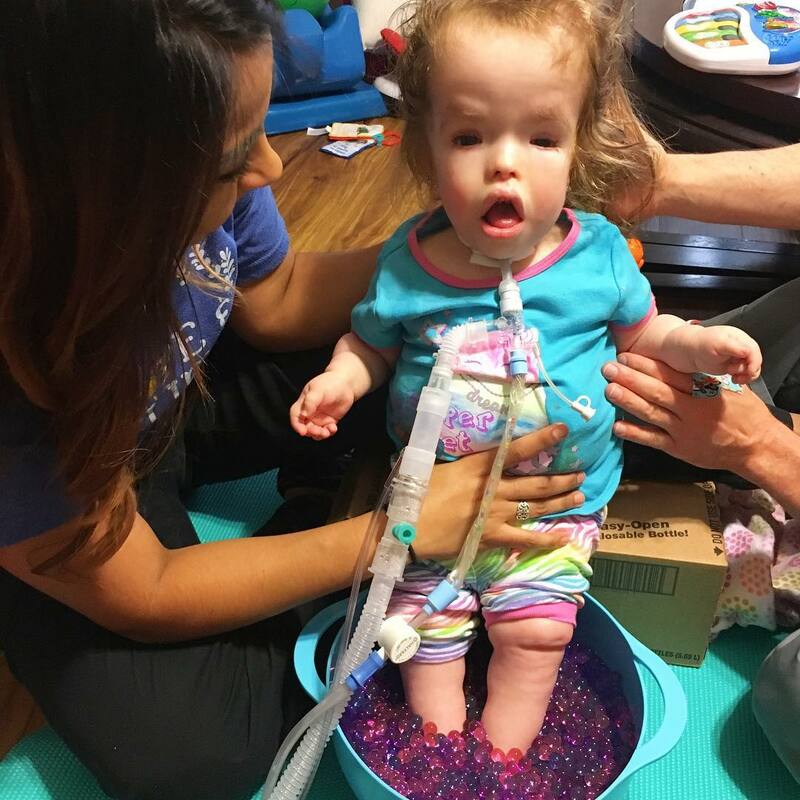 ), multiple therapies (speech, physical, and occupational)- I am literally FLOORED that had this been even just a few years ago, Addie could’ve lost her benefits if we put money in a savings account for her because an individual with a disability needed to remain “poor” in order to keep their benefits. It’s sickening and insanely scary. Bless the advocates who worked hard to change this and came up with the federal ABLE Act and the new ABLEnow program. There are millions of individuals with disabilities and so many of their families depend on various public benefits like income, health care, food, and housing through SSI, SNAP, and Medicaid. Now, these millions of people don’t have to worry, and I’m so grateful. For the first time in public policy, the ABLE Act recognized the significant costs that occur when you have a member of the family living with a disability. These costs can include accessible housing and transportation, personal assistance services, assistive technology, and health care that is not covered by insurance or Medicaid. Now these eligible individuals with disabilities and their families can save and invest in an affordable and tax-advantaged ABLEnow account without worrying if their eligibility for certain benefits like Medicaid and SSI will be taken away! Here’s why I love this so much: ABLEnow is truly empowering those with disabilities to gain more independence and have a better quality of life through financial security. 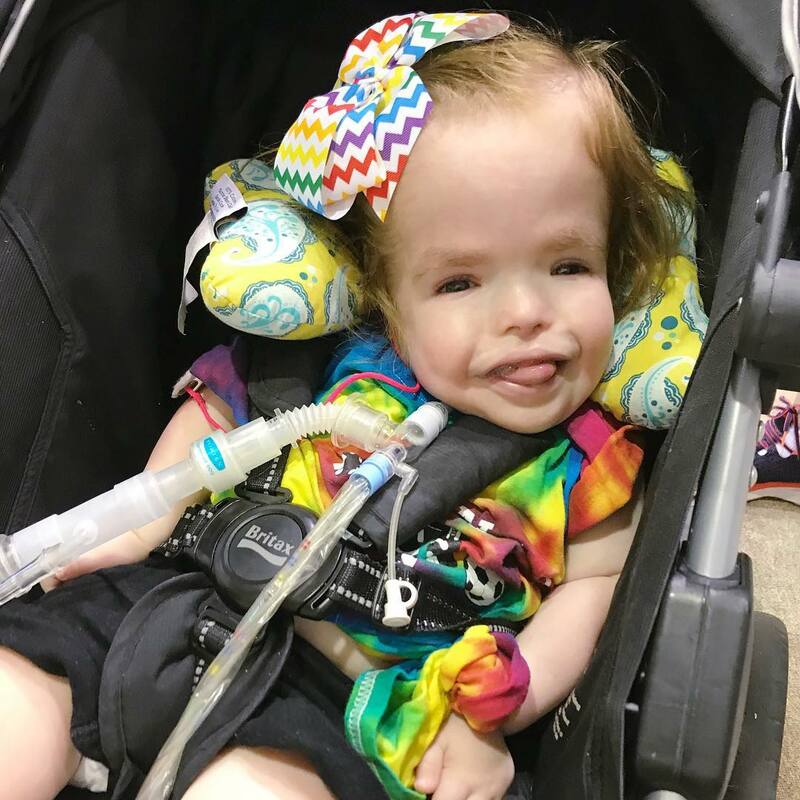 For our family it means being able to put money aside for Addie’s future and not worrying that her Medicaid will be taken away (because I certainly can’t afford a ventilator, nursing, oxygen, every circuit piece to her vent, suction machines, and so so much more). It’s so huge. ABLEnow is administered by Virginia529, the country’s largest college savings plan, which now has an expanded mission to meet the needs of individuals with disabilities. It is one of the country’s premier ABLE programs and open for national enrollment with accounts in all 50 states. You can go to the ABLEnow website to open and manage your ABLEnow account online. Want to know more about ABLEnow and ABLE accounts? Check out the ABLEnow FAQS . What are your fears for the future regarding your loved ones with disabilities? I love that this exists to help families. Being disabled shouldn’t devastate a family’s income. In Pennsylvania, we were able to use (I believe it is Medicaid) for my daughter’s main insurance regardless of our income because she is under 18. I believe she can still be at 18 because she won’t have her own income. I’m not super familiar with all of this and if it varies state by state or not. I’m interested in looking into what you talk about here because I hadn’t heard of it. Thanks for sharing. My friend has two lovely boys with disabilities and the expenses are immense. I’m glad to hear about this so I can share with her. Look at her smile! OMG I Just love her!!! I don’t have kids or family members with disabilities so I don’t know anything about this stuff! Good to know for future reference though! Off topic- I love pics of Addie, shes so cute! I had no idea this existed. I’m glad to know now! You and Addie are so cute! This is such an amazing program! I’m glad your family can have some peace of mind about Addie’s future. We lost our Medicaid coverage due to my husband’s pay and she was deemed disabled by the state but she gets no benefits due to my husband’s pay. It has really thrown a wrench into things! I will look into this. Thank you so much. This sounds like such an amazing program! It is so great that this program exists; I think families with a disabled member already have SO much to be worrying about, or other concerns in their life that knowing they have some financial security must be such a relief. It sounds like a really good program! I’m so happy that something like this exists and that they are actually helping families! Such a great project! You Mom are a true super woman! Your little Addie is so adorable and I love the fact that this company exists! I also tend to go down that rabbit hole when thinking about my family. It’s amazing how love for others can create companies like this to help support those in real need. She is a pretty little princess. II am glad that there is a program like that available. Awesome that you do not have to worry so much. God is so awesome. Your little one is precious. I’m so glad there is support like this for families who want to make sure loved ones are cared for. Thanks for sharing. This is really amazing! I think it’s awesome that families have this chance to take care of their loved one without having to think too much about their financial situation. What good news! This was so interesting to read. Thanks for sharing this. I think this ABLEnow is a great program that supports disabilities like your daughter, and I really like it because it exists now. I am glad that your family can have some peace of mind about Addie’s future. God is good. All the time. The ABLE now looks like really great program, I had no idea it exists. Those advocates that came with the program should get a prize! I think ABLEnow is really doing a great job.. I can say it is going to help many children with special needs like your daughter..
It’s amazing how ABLEnow is able to help a lot of families. Financial peace of mind is something that everyone should enjoy. I am so glad to learn that programs like ABLE exists and are functioning at such great levels. This is so promising. I have a brother with disabilities, so it is so great to hear about resources for families. You look like an amazing mom! It is amazing that ABLEnow is making such difference by helping the families with the financial peace of mind and in return, families can spend time for love and care. What a beautiful child. It’s so great that a program like this exists. As parents, we can’t help but want to prepare our kids for the future and make sure that they will be okay with and without us. Peace of mind makes all the difference. She’s so adorable girl. I’m glad that ABLEnow is existing to help disabled people. We need to make sure their future will be better, thanks for this amazing program. You have a Beautiful family! God bless you!